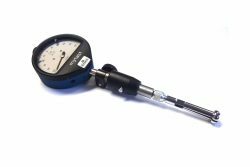 The Osimess is an internal two point measuring gauge for the rapid and accurate inspection of bores ranging from 1.0mm to 40mm diameter. 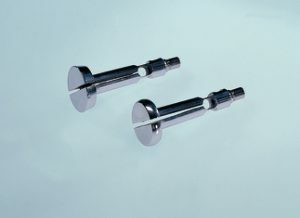 The split probes incorporate the use of the indicator spring power as a result the measuring surfaces of the probe lie close to the wall of the bore being measured ensuring the indicating needle and probe are exactly coordinated to ensure maximum accuracy and repeatability. • High precision, repeatability of 0.001mm. • High measuring certainty due to the probe geometry and minimal travel design. 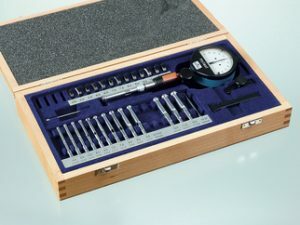 • Gauge wear parts produced in either hardened steel or tungsten carbide. • Probes and needles up to 4mm diameter are produced in tungsten carbide only. • Long service life and a high level of flexibility are key features of the Osimess design. • Ideally suited for measuring out of roundness.